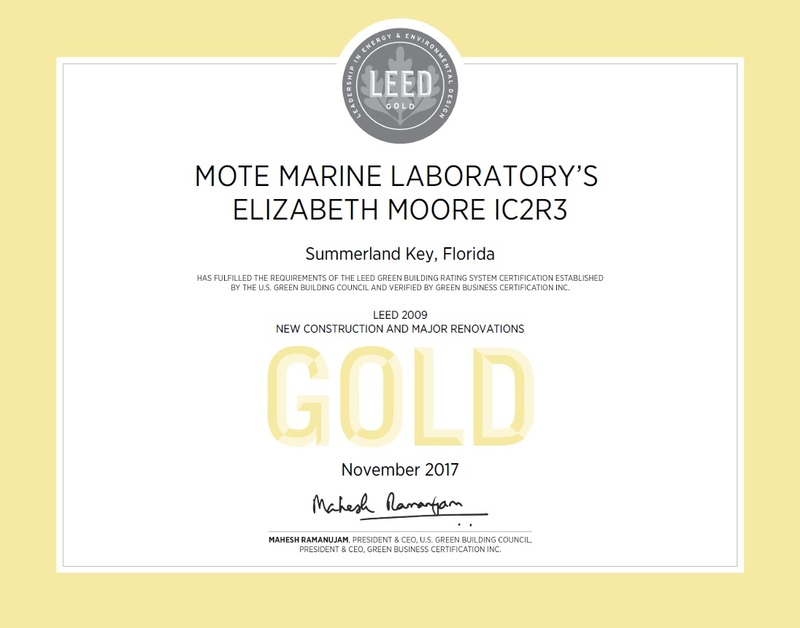 Mote Marine Laboratory’s coral reef research facility in the Florida Keys has become the first U.S. Green Building Council LEED Gold Commercial certified building in Monroe County, honoring its outstanding, eco-friendly design and construction. Mote’s Elizabeth Moore International Center for Coral Reef Research & Restoration (IC2R3), which opened in May 2017, is advancing Mote’s critical mission: marine research supporting conservation and sustainable use of natural resources. 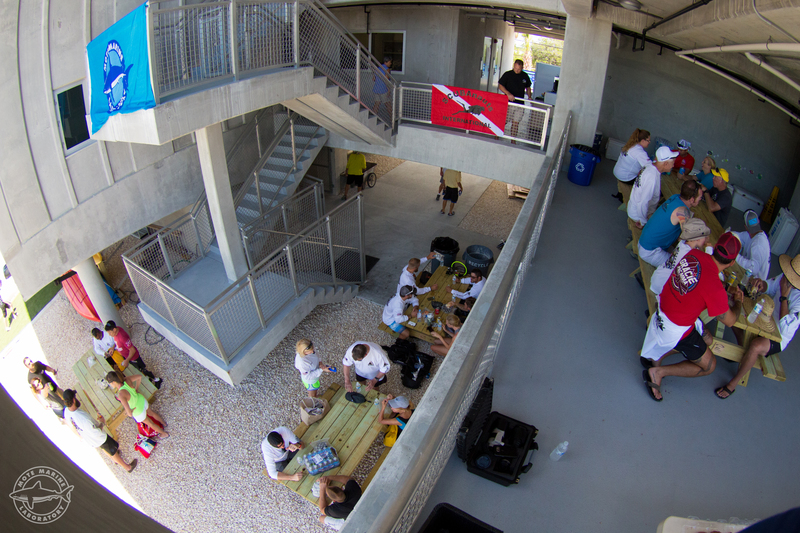 IC2R3, the newest facility among Mote’s five Florida campuses, works to address the grand challenges facing Earth’s “underwater rainforests”: coral reefs. Dovetailing with that mission, LEED — Leadership in Energy and Environmental Design — is the world’s most widespread rating system for green buildings, according to the U.S. Green Building Council (USGBC). 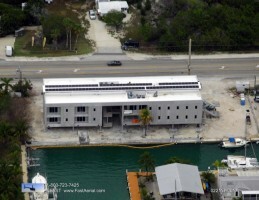 IC2R3 replaced older facilities at Mote’s Summerland Key campus, more than doubling its research space. There, Mote scientists raise and study more than 20 species of hard corals and maintain a broodstock reserve facility to produce thousands of coral fragments for reef restoration and for studies of coral resilience amid the warmer, more acidic oceans expected in Earth’s future. IC2R3 also serves hundreds of other scientists from more than 60 different institutions worldwide who are working to restore and protect reefs. With Mote’s specifications in mind, Willis A. Smith Construction, Inc., built IC2R3 to include 30.1 kilowatt solar panels, a rainwater capture system, significant proportions of recycled and local building materials, and other eco-friendly features. The facility offers scientists and students eight residential suites, five offices, two wet labs and one prep lab on the second floor, three dry labs, one prep lab and one ocean acidification lab on the third floor, two electric car charging stations, two indoor classrooms and one outdoor classroom. 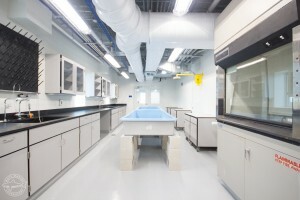 The LEED Gold facility houses the Alfred Goldstein Institute for Climate Change Studies and offers scientists access to new seawater systems, raceways and experimental tanks for studying multiple reef species facing climate change impacts such as rising ocean temperatures and ocean acidification; molecular equipment to process and prepare samples for next generation sequencing and genomic analyses — for example, to find the best genetic strains of corals for reef restoration; microbial supplies for studying microscopic life forms that can help or harm coral reefs; a carbonate chemistry lab for ocean acidification research; and more. Improvement of 37.9 percent energy efficiency from baseline, calculated using the American Society of Heating, Refrigerating and Air-Conditioning Engineers’ 90.1-2009 code. This model assessed the improved energy efficiency of Mote’s facility versus a comparable facility without the same energy efficient LEED features and solar power production. 17.6 percent of total energy consumed at the facility is generated on-site from the rooftop solar photovoltaic installation. Water use reduced 46.11 percent from baseline. Captured rainwater is collected in a 1,050-gallon cistern and reduces potable water use for sewage conveyance by 166 percent. 100 percent of landscaping consists of plants native to the Florida Keys and is xeriscaped with no irrigation required after establishment. Sunlight is reflected (including unwanted heat) by 99 percent of compliant non-roof surfaces and 100 percent of compliant roof surfaces. The goal is to reduce the “heat island” effect of development on microclimates and human and wildlife habitats. 80.74 percent of the facility’s construction waste was recycled or re-used, diverting it from landfill. 22.36 percent of the total building materials’ content was manufactured using recycled materials. 53.08 percent of the total building materials’ value includes materials and products manufactured and extracted within 500 miles of the project site. 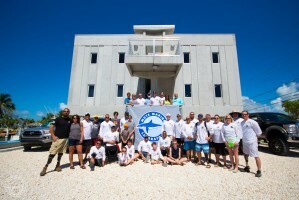 “To Mote Marine Laboratory, Willis Smith Construction and to all those involved on the project team, we salute you — the dedication to sustainable design and development embodied in this project is something we all should be very proud of," said Josh Kane, LEED & NGBS Project Manager for Two Trails Inc. - Sustainable Building Consulting. Charles and Margery Barancik Foundation. These incredible supporters and countless other community members have helped make IC2R3 a stronghold of hope for coral reefs’ survival and recovery. 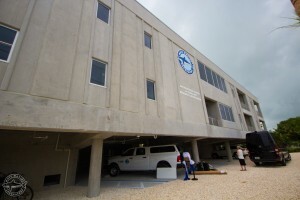 Beyond USGBC LEED Gold certification, the building is Category-5 hurricane resistant, which allowed it to shelter Mote’s coral gene bank during Hurricane Irma.